Candace Clement has been a been a member of the Northampton band Bunny’s A Swine for eight years. On songs like “Greetings from the Bottom,” her Strat intertwines with Emerson Stevens’ 3-string guitar contraption like a ball of twine, which gets tangled and balled up against a backbeat by drummer Dustin Ashley Cote. When she isn’t singing, she does advocacy work on media equity, most recently championing “net neutrality,” the principle that everyone should be allowed even and equal access to the internet. In a recent interview, we covered ground from DIY music and independent media to parenting and Black Lives Matter. You play in a band that “values and loves” independent media. Can you elaborate on that? 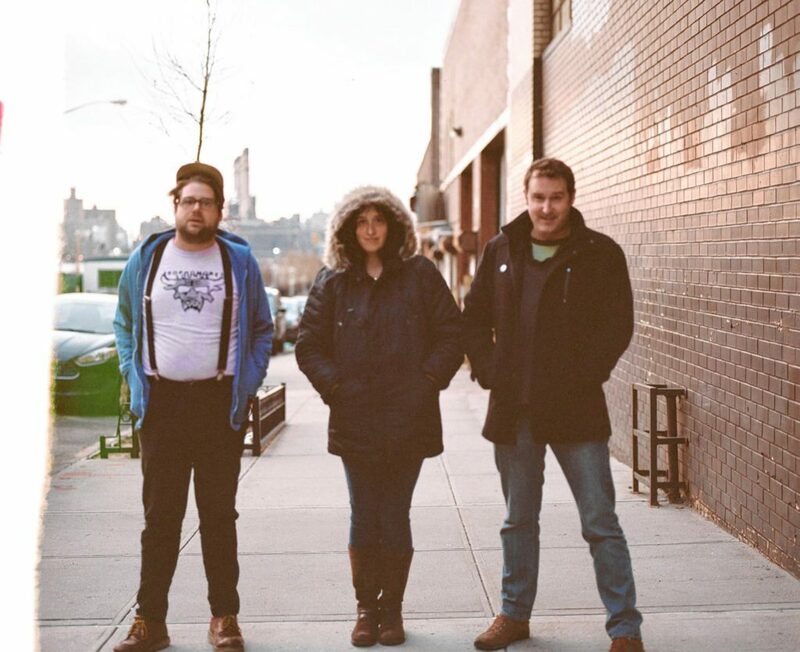 The DIY ethos runs pretty strong in the band, and all three of us have a general anti-corporate, pro-local attitude. We’ve been a band for eight years … and it’s amazing how accelerated the changes in media and technology have been throughout that time period … Our love of independent media hasn’t always just been about “press” itself, but also how we promote the band, how we make our albums, etc. There will always be publications that serve as a sort of gold standard for “making it,” but everyone sets their own metrics for success. Some bands want to tour and play music full time or play festivals with Kanye. Others want to break even and make noise with their friends. Some are making a political statement. We always assumed we were making music for ourselves and our friends. It was always nice if we could expand that circle, but we never really stressed it. You’ve spent a lot time advocating for net neutrality. How does it affect musicians? The internet and technology have been incredible for musicians. At this point it seems impossible to think about doing what we do without it. What I love about net neutrality is how basic and fundamental it is. It’s a fight about making sure that the infrastructure serves everyone … we need to keep the internet an open platform. Most musicians are doing everything online now. If a company like Comcast could just decide to start charging different fees to access different websites, or could slow down access to one site while speeding up access to another unless you paid up, it would completely disrupt musicians’ ability to get their music and art into the world. If I recall correctly your band takes a pretty hard line against corporate sponsorship. Why is that? I’m sort of hard-wired to be suspicious of free money. Because there really is no such thing. And given the many awful things that many corporations do, I am personally disinterested in being associated with most of them. I don’t blame bands who take the corporate sponsorship route, especially if they’re trying to make a living out of it. That’s a choice to make. I have anecdotally observed some kind of generational difference around attitudes towards corporate funding. When I was growing up and getting into music, anti-corporate was almost like the baseline attitude. But in the last five or six years I’ve noticed a disinterest in being so strict about it. Lots of people take the money they can get to put it back into their art. We’ve debated offers like that in the past as well. What’s up with Bunny’s A Swine now? We haven’t been playing as much since I got pregnant, but now that my daughter is approaching toddlerhood I hope we can finish up the album we’ve been working on for the last couple years … we’ve mostly been playing house shows, DIY venues and non-traditional spaces. How else do political ideals influence your art? Nothing has made me more politically fired up than being a parent … There are so many spaces online where parents talk to each other, but in most of them there’s this phobia of politics. It’s like you can only talk about babies hitting developmental milestones and the best brands of car seats, or something. But I want to talk about the importance of the election. I want to talk about how to end police brutality and how to support the Black Lives Matter movement. That tension definitely translates over to playing music for me … We may make political decisions about what shows we play, how we distribute our music, where we spend our money, but our music is not political. I’m wrestling with that as being both really valuable, as a space to escape, while also recognizing that my ability to escape in the first place is entirely based on my privilege in the world … I never feel like I am doing enough. Look out for Bunny’s A Swine and for Clement’s writing about net neutrality in outlets like The Huffington Post and In These Times.